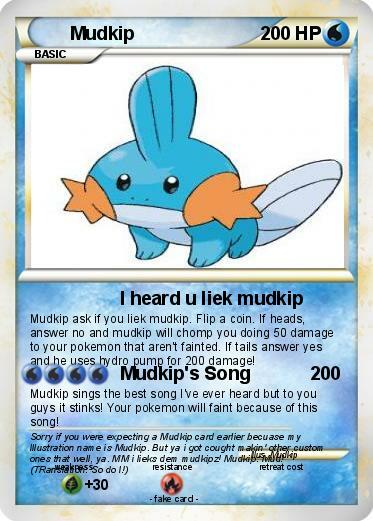 Mudkip ask if you liek mudkip. Flip a coin. If heads, answer no and mudkip will chomp you doing 50 damage to your pokemon that aren't fainted. If tails answer yes and he uses hydro pump for 200 damage! Mudkip sings the best song I've ever heard but to you guys it stinks! Your pokemon will faint because of this song!